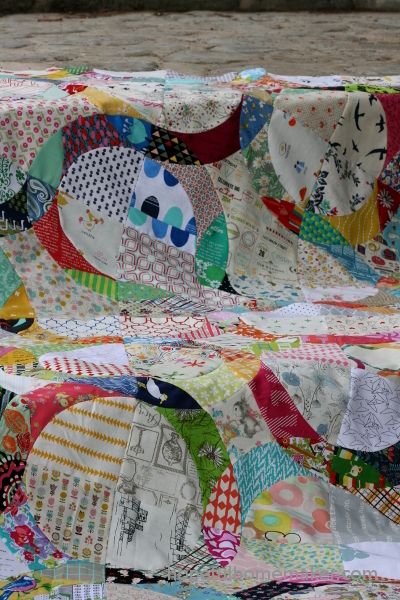 Last year I subscribed to the Mandolin Quilt club hosted by Jodi at Tales of Cloth. 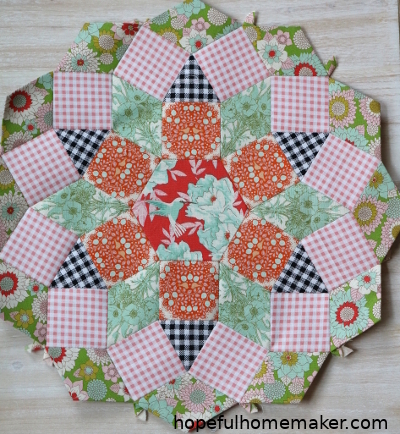 Jodi is an Austrialian whose work with English Paper Piecing (EPP) inspires me. 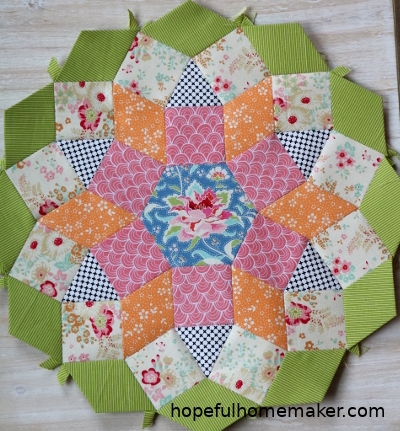 Her patterns are creative and this is the second English paper pieced quilt I’ve started as part of her monthly subscription for papers. 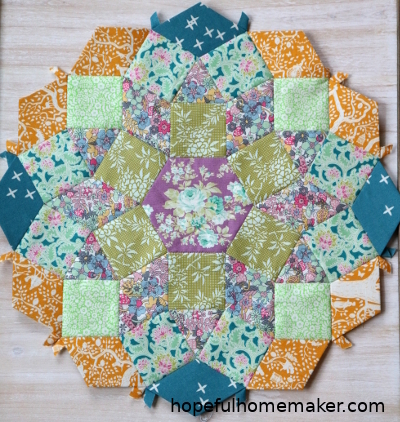 Today I’m sharing my completed Mandolin quilt blocks with you. Someday I want to make a La Passacaglia quilt, with all it’s tiny pieces, but not until I’ve proven to myself that I will actually finish an english paper pieced quilt. So far I’m a great starter! I began the Ice Cream Soda quilt in 2017, and still have many blocks to make. 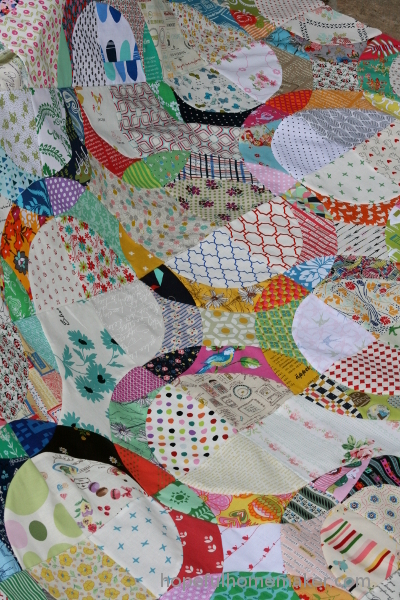 That didn’t stop me from starting the Mandolin quilt, though. 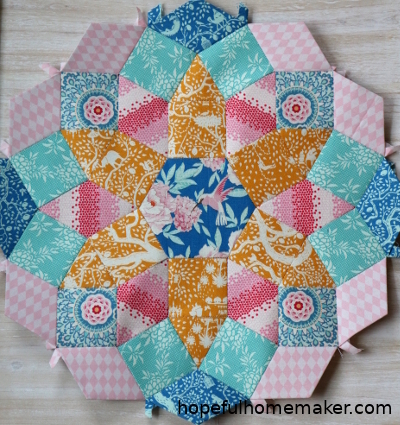 These Mandolin quilt blocks finish rather quickly, I think. The pieces are simple and stitching them together is easier for me than the smaller ice cream soda pieces. 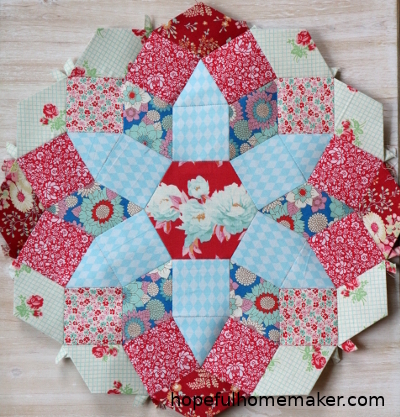 This would be a good beginner project if you want to try epp. 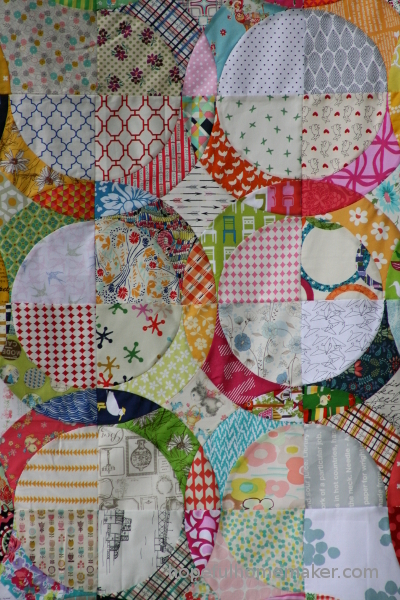 My blocks feature fabrics by an Aussie design house, Tilda. They are beautiful and fun to sew with. There are also fabrics from some Liberty of London designs on quilting cotton as well as other blenders from my stash. 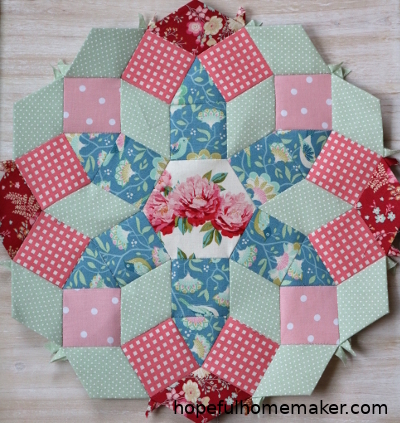 I have also used a variety of fabric arrangements in my blocks instead of sticking to one pattern. I like each block individually. 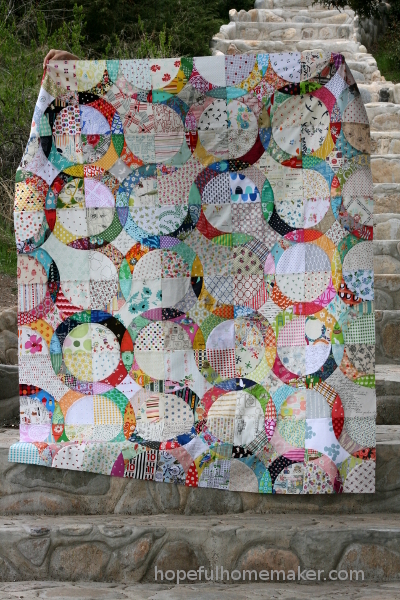 With some blocks I fussy cut the fabric to showcase a print and create a repeating design. 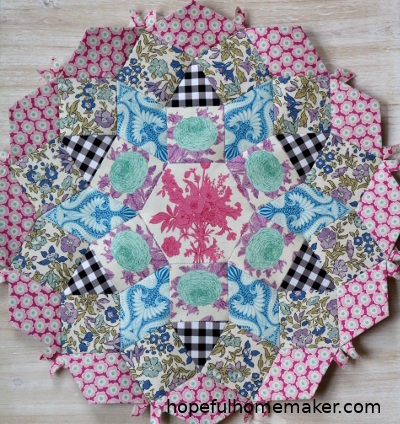 Fussy cutting is an approach to using fabric that has fascinated me for a long time. I wanted to try it but was afraid to waste fabric and make mistakes. You will see that in many of my current projects I am experimenting with fussy cutting. I want to be good at it, which will never happen without practice! I have now finished 13 of 20 Mandolin quilt blocks. 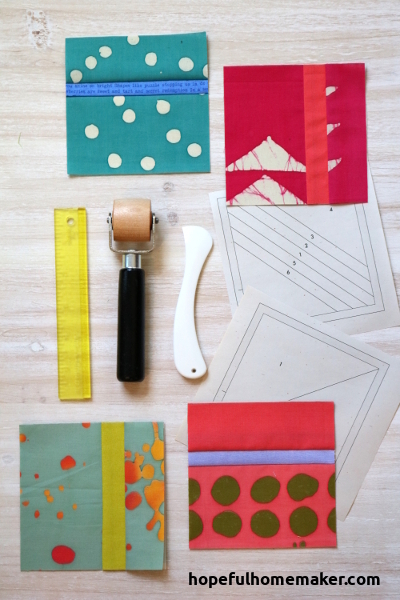 My biggest obstacle is the time it takes to select fabrics, cut shapes, and baste them to the papers (I use glue sticks). I guess I let this preparation seem like a big deal in my head, so I avoid it. Once the pieces are prepared I have no trouble stitching them together. It is good to learn what step I stall on, so I can overcome that weakness. I have prepped all of the remaining blocks, so it shouldn’t be difficult for me to finish the blocks. 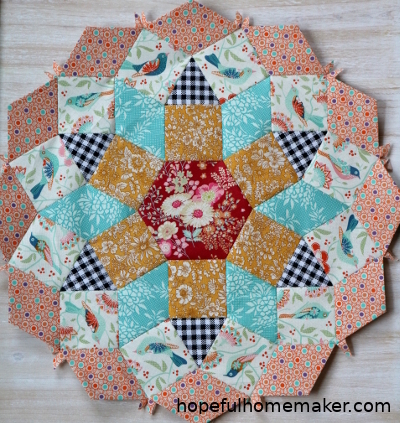 After that remains the step of choosing fabric and piecing all the joining blocks. I have a great deal of work ahead to finish my Mandolin quilt top but I’m happy to be more than half done with the blocks. 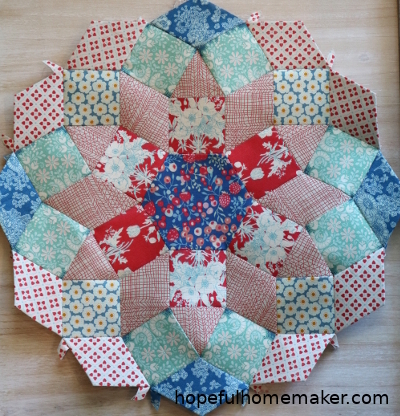 I love the accuracy of a foundation paper pieced quilt block. 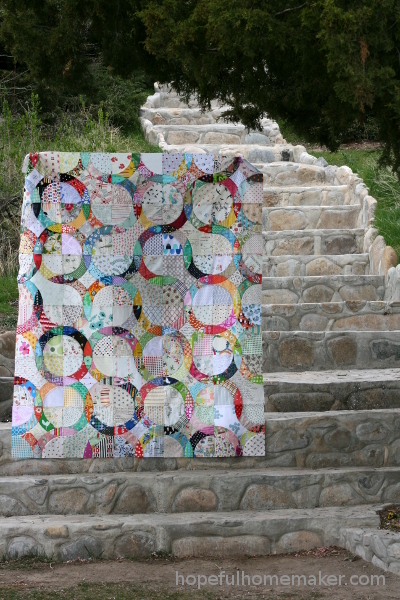 Foundation paper piecing involves printing a pattern on paper, then sewing fabric to the back of the paper along the seam lines to achieve the design. 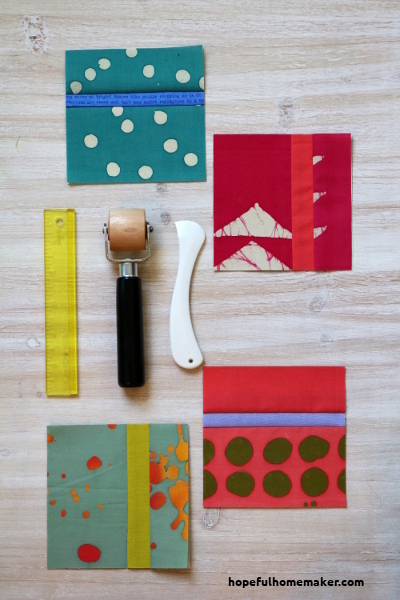 It seems there is no limit to the amazing designs that can be sewn with this method. It does, however, require careful attention to detail along with extra time and steps. I’ve found that having a few tools on hand makes a big difference in both my sewing experience and my final product. 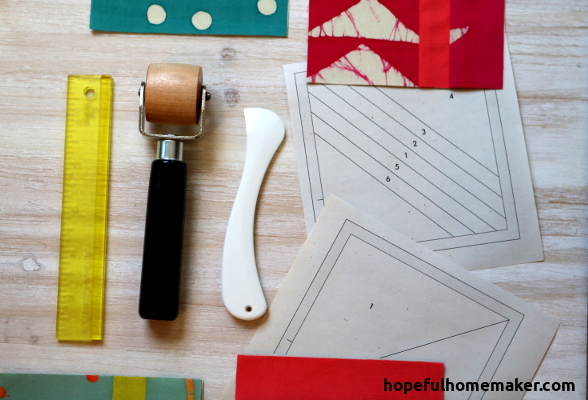 So without further ado, here is my list of favorite tools for foundation paper piecing. 1. The Add-a-quarter ruler is a lifesaver. It has a lip on the edge of it that sits over the seam, up against the folded paper when you’re trimming your seam allownace after adding a piece of fabric. 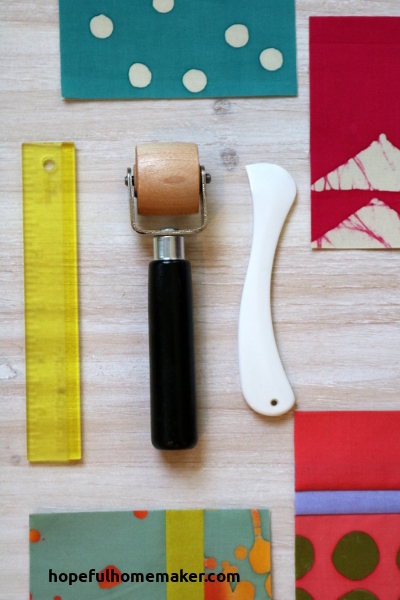 Simply line up the ruler and cut, and you have a 1/4″ seam allowance. It comes in two sizes and I use both. This might be my favorite tool for foundation paper piecing. 2. The Seam roller is perfect for pressing your fabric. It isn’t always convenient or even possible to iron every seam when foundation paper piecing, but rolling the seam roller over it always does the trick. 3. 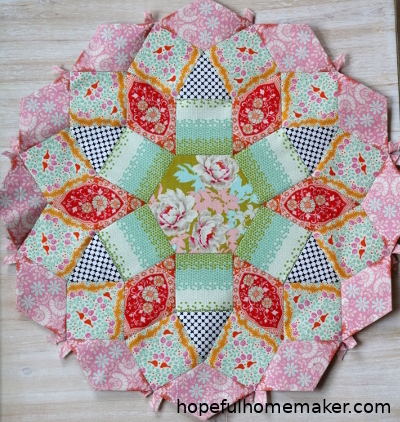 My Hera marker is a tool I use for both foundation paper piecing and for machine quilting. When I need to fold over a part of the paper pattern, I use the Add-a-quarter ruler and the Hera marker to crease the paper, and it folds perfectly along the line so I can then trim my seam allowance. For quilting, this tool is invaluable for marking quilting lines on quilts. I have a few of them now, so I’ll always be able to find one – no matter how messy my sewing table is! 4. 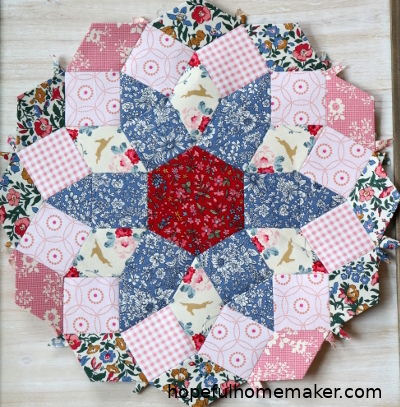 Carol Doak’s paper for foundation paper piecing is a must. This newsprint paper (see blocks printed on it below) is thin and easier to sew through than regular copy paper. It also tears more easily when I remove the paper from my quilt block. Because it is uncoated, it doesn’t slip when I sew my fabric to it. This paper comes in both 8.5″x11″ and 11″x17″. I use both sizes, depending on my project. The paper feeds easily into my printer or a copy machine. 5. 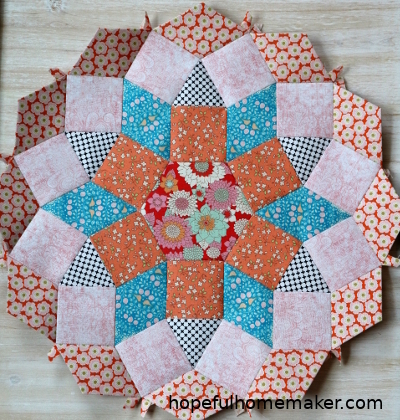 I keep a square rotating cutting mat next to my machine when foundation paper piecing. It makes the process faster. A good rotary cutter is also important. The final tool I use with fpp is a glue stick. A small amount holds my fabric in place on the paper while I stitch, and the paper is easy to pull off later. I use a regular Elmer’s washable glue stick, like the ones I buy my kids at the beginning of the school year. 6. If you’re looking for a great machine, I purchased this Juki just over a year ago. It has been a dream to sew with. I love my machine. That is my basic list of favorite tools for foundation paper piecing. 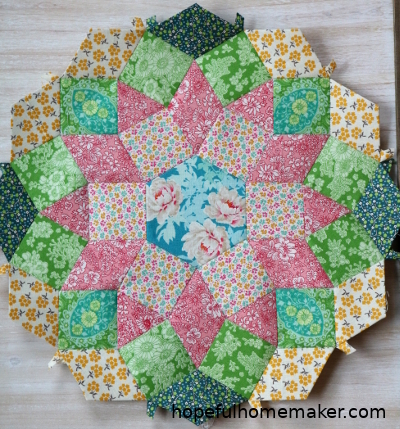 I highly recommend that you add them to your sewing supplies if you plan to learn foundation paper piecing. You will be glad to have a few tools to speed up the process and improve the quality of your blocks.